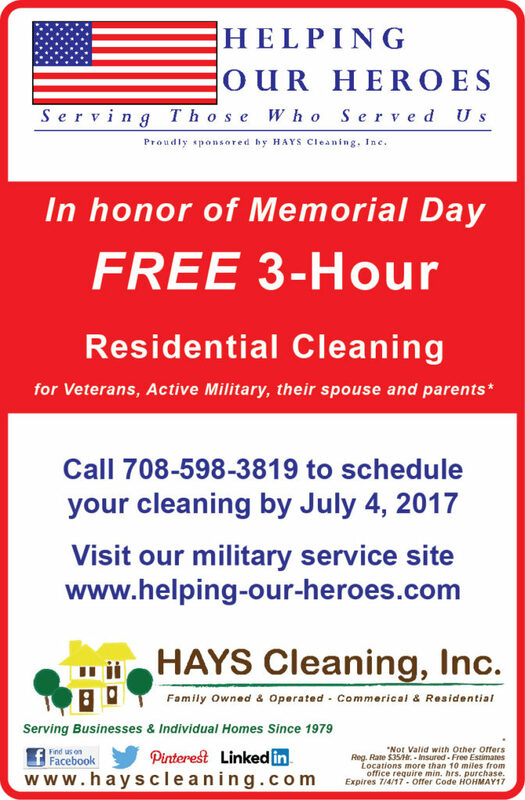 HAYS Cleaning continues to celebrate the birthday of this great country with a terrific offer: 10 hours of service for $238.00! Must purchase by July 6, 2014. 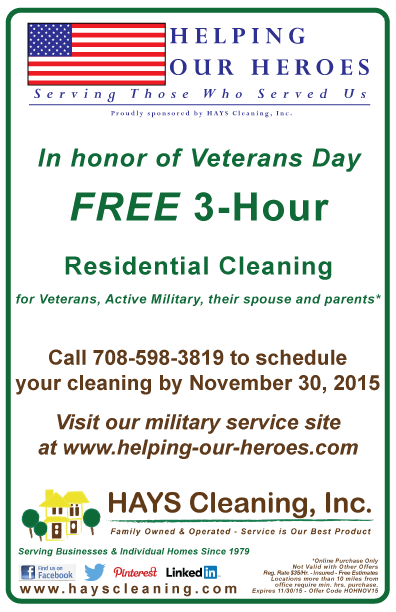 Since 2010, HAYS Cleaning, Inc. has provided 3-hour complimentary housecleanings for local Veterans, active Military and their spouses and parents. The service is offered for Memorial Day and Veterans Day. The current promotion, in honor of Memorial Day, runs through June 15, 2013. 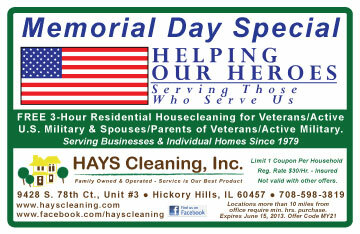 Simply call 708-598-3819 or email mary@hayscleaning.com to schedule the cleaning. Through a partnership with the St. Patricia Holy Name Society, in Hickory Hills, Illinois, the company is also collecting care pack items to ship to the troops overseas. Download the information packet here for details on the cleaning and the collection of care pack items.